Is your car a classic yet? Car manufacturers will often boast the launch of an “instant classic” fully in the knowledge that cars need to be around 20 years or older to be deemed a “classic”. And that’s just for insurance purposes, depending on each provider. When it comes to defining a vehicle’s status for any other reason, the lines become a bit blurred beyond the Seventies. Go off age and a 1997 Honda Accord automatically accompanies a Seventies MGB in the “classic” realm, and while journalists from Practical Classics magazine might make the case for the former in a one-off feature, it’s unlikely to turn heads in the same way. A more helpful classification model is price – cars which are plentiful and not in demand depreciate in value. Vehicles which begin to go up in price are normally worthy of the “classic” badge. This is when age isn’t just a number. When tax exemption for older cars was first rolled out, it was relevant to vehicles which were 25 years’ old plus. Now it’s only relevant to cars built before 1973. HMRC defines cars over 15 years of age, with a value of £15,000 or more, a classic. However, if your car is even just ten years old it could be deemed a classic in the eyes of your insurer, depending on the provider. Classic car insurance normally comes with lower annual mileage, so you’ll need to take this into account if your “classic” is your main mode of transport and you’re likely to exceed to this. Also, think about the value of your car so you don’t underinsure it. You may not have paid much for it ten years ago, but cars that don’t fit the “classic” image are suddenly in high demand, particular early ‘90s hatchbacks like Golfs and Ford Fiestas. 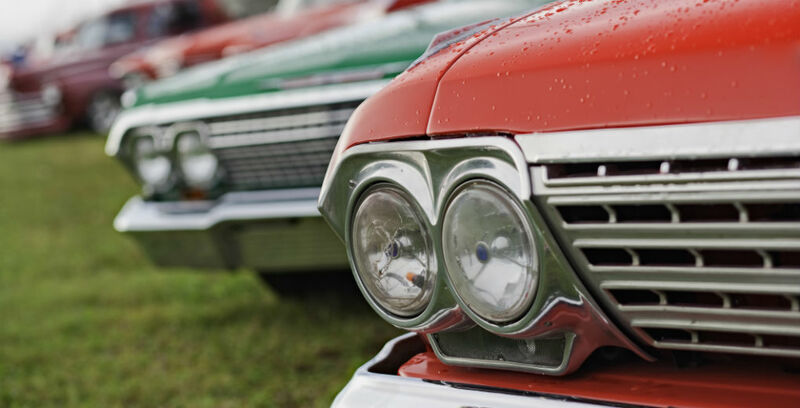 Classic car policy wording varies from one insurer to the next. If you’re not sure whether your wheels have reached classic status for the purpose of your cover, check your summary or get in touch with your provider for more information.